CHECK YOUR 6! 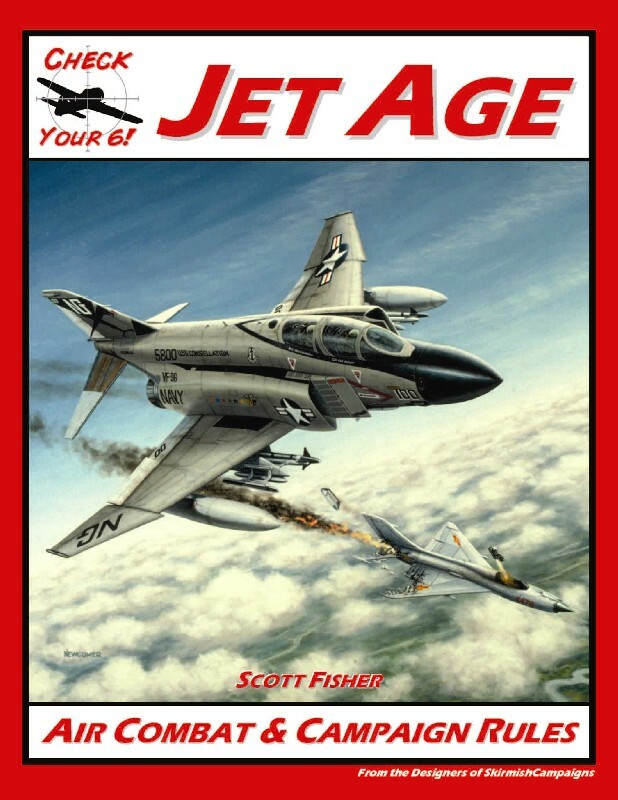 JET AGE was designed to closely reflect the details of jet age air combat while providing maximum playability. Building on the award winning CHECK YOUR 6! Classic WWII system, the game is the result of more than three years of research into air-to-air weapons, combat maneuvers, aircraft statistics, and the influence of pilot skill on combat. Combat is reflected in 3D and statistical analysis was extensively used in the design. Former and current US Air Force and US Marine Corps pilots were part of the design team from the start, greatly influencing the design and mechanics of the game rules.